Next up in our intro to web and mobile development series, here we'll discuss how to move from wireframes to more detailed images of your user interface (i.e. the “mockups”). This may sound obvious, but the actual creation of mockups should be reserved for the most talented visual designer on your team. If you don't have a legit person for this, recruit one before attempting to move forward here (seriously). Following essentially the same process with wireframes we discussed previously, within the UX Flow Chart you've created (we recommend a Google “Chart” Doc), start replacing links on nodes from the finished wireframe to the current draft of the mockup. 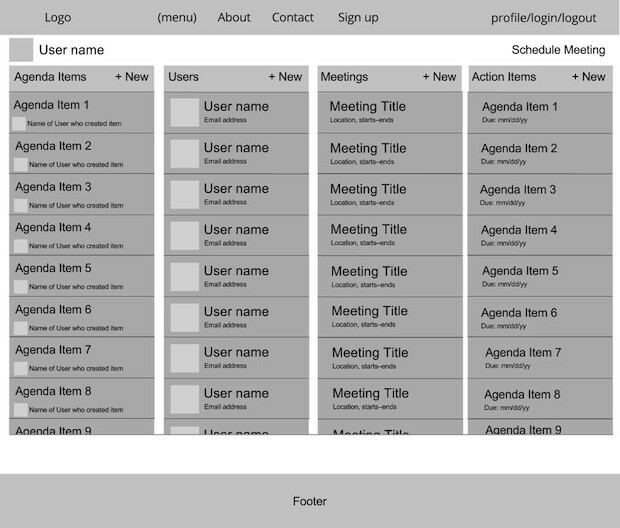 Start with the home page/view and something simple like your login page and work through your nodes from there. Sweet. 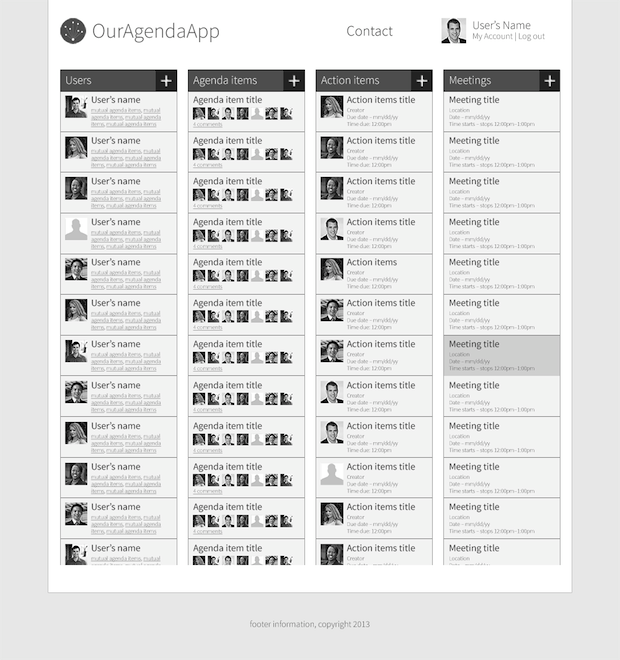 As the back-end software engineer and product manager, I see that this mockup has all the right elements in it (i.e. good enough for now — don't be a perfectionist) and if I need to tweak a little something it can be done after the cutups are done. 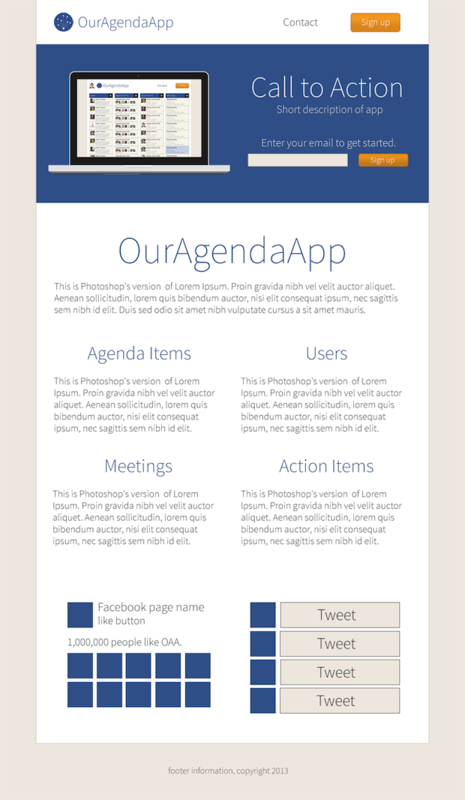 In other words, between this dashboard mockup and the homepage mockup, essentially all the elements/styles are in place to act like lego pieces that I can then use to build out the rest of the app. Tim will still cutup the rest of the nodes to make my life easier, but having these two main mockups done is most of the heavily lifting. Now is the time to think about color schemes. Sometimes you can get a good head start on this by looking at your mood board (← see step 7 here), but in reality you want to come up with a diverse set of color ideas, look at 'em, and go with what feels right. When working with designers on mockups, the team needs to be in agreement on visual weighting (i.e. what a user's eye sees first), and this needs to be translated clearly into the mockup. Quickly understand what our app is basically about. Signup easily to give it a try. Read more to understand the four main resources our app organizes. Keep the ball in the designer's court! (Hopefully Google they will bring this feature back so we don't need to do the embed-in-Drawing hack). In the next post in this series we will start building out the model architecture of our Ruby on Rails app! 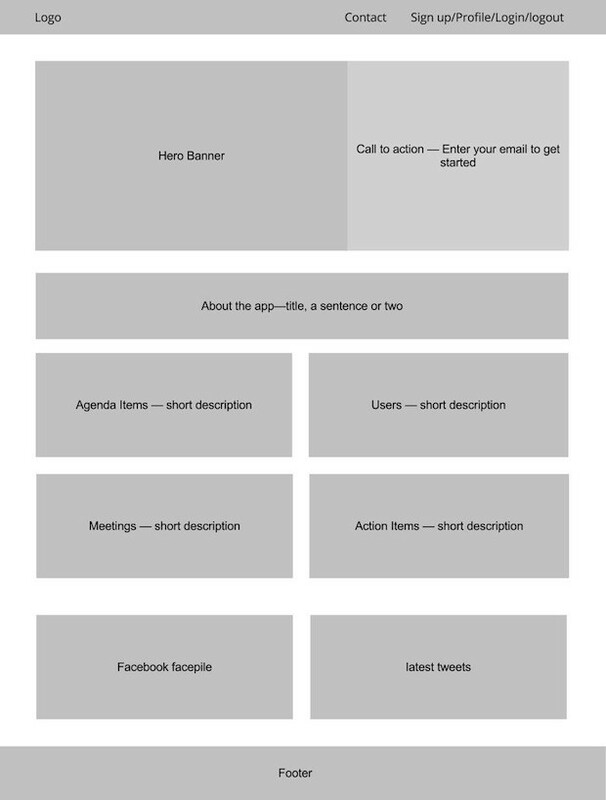 Previous post: How to build and iterate wireframes for modern app development.